Ashley Adriaans is the Managing Director of Adriaans Attorneys and also the Head of its Dispute Resolution Department. 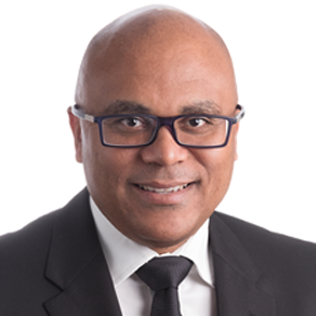 He has extensive experience in general commercial litigation, mediation and arbitration in South Africa with a specific focus on banking related litigation, disputes involving local authorities and building disputes. Acted on behalf of liquidators in insolvency interrogations and enquiries and represented creditors at insolvency interrogations and enquiries. Acted in numerous commercial litigation matters including but not limited to contractual disputes, partnership disputes, landlord/tenant disputes as well as insolvency related matters and interrogations. Acted for the curators of the Fidentia group of companies in the recovery of lost investor funds and assets. Acted for the City of Cape Town in highly publicized mass evictions involving the remaining unlawful occupiers of Symphony Way during 2009/2010 and their relocation to “Blikkiesdorp” as well as an eviction involving the “Deepfreeze” community in Macassar which involves approximately 600 unlawful occupiers and the “Egoli” community in Philipi which involves approximately 500 families. Ashley began his career in 1997 as a Candidate Attorney at SyfretGodlonton Fuller Moore Inc (now Cliffe Dekker Hofmeyr). He was appointed as an Associate in 1998 became a Senior Associate in 2002 and a Director in 2003. In 2010 Ashley commenced practicing for his own account as Managing Director of Adriaans Attorneys. Class action lawsuits In South Africa – Next steps in the Listeriosis saga?